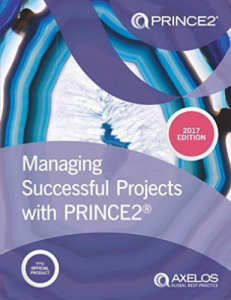 PRINCE2 2017 edition dilutes the good stuff and details the nebulous. While the PRINCE2 method has not substantially altered, the PRINCE2 2017 textbook is quite a different beast. Some training companies have been surprised at the level of effort required to bring their training courses into line with the new material. Simple updates will not suffice. Courses will need to be rewritten. The major difference is the increased emphasis on tailoring. Existing PRINCE2 Practitioners already know that tailoring has been a feature of PRINCE2 since its inception. It is a flexible method equally at home in agile and waterfall project environments. However, the new book SPELLS IT OUT. Every chapter has a section offering advice on tailoring in different environments. Maybe I’m too old-school. I would prefer the emphasis remained on the essential elements of PRINCE2, the things that have made it such an adept and useful methodology. As already noted, it has always emphasised tailoring to the environment and to the project. However, it has left the detail to the qualified and capable persons who know the intricacies of their own workplaces. The need to spell it out in detail for every permutation is tedious, unnecessary and more inclined to misuse. Of more concern is the missed opportunity with the certification exams. It was recognised for some time that the exams were a poor attempt at testing familiarity and understanding. Training companies often spend 50% of learning time on a Practitioner course teaching delegates how to pass the exam rather than having valuable discussions on the application of the principles. This is because passing the exams is not necessarily a natural by-product of understanding PRINCE2. If it were then it would be possible to get 100% in a Practitioner multiple choice paper. It would be a reasonable expectation for accredited trainers who have seen most of the papers to get 100% when they periodically retake the exam. Yet this has not been the case. The problem has been poorly constructed questions – some ‘tricky’, some plain ambiguous. It has been disheartening to watch competent project managers who appreciate PRINCE2 but have English as a second language fail the exam. With PRINCE2 2017 AXELOS have improved the question format so that most questions are plain multiple choice. However, the questions themselves remain problematical. They are not written by people expert in testing understanding. I am guessing they have been written by some of the authors of the book who sometimes take an esoteric and unhelpful line and/or by AXELOS staff. The papers were tested on current accredited trainers, none of whom obtained 100% on first marking. This revealed some questions which were discarded before calculating a final score. The Pass mark in the PRINCE2 Practitioner exams for the 2017 edition of the method has gone down and the number of failures at Foundation level has increased. This is not acceptable. AXELOS need to invest in proper testing of understanding and competency. Making reference to Bloom’s learning levels in their syllabii belies the fact that they are not taking a professional approach to question formulation. People who fail should fail because they do not understand the material (Foundation level) or are unable to apply it in a real-life situation (Practitioner level). Failing delegates because of the number of ambiguous, unclear or esoteric questions is an appalling indictment of the AXELOS approach. Also note that T&C for the PRINCE2 2017 Practitioner qualification has changed. It is only valid for 3 years unless PRINCE2 membership is taken within 3 months of passing the Practitioner exam. The validity of the qualification is then extended by accumulating points for professional development activities. No matter how AXELOS tries to spin this, it is about money pure and simple. training companies defer moving to courses based on the new edition for as long as possible. In this way you will have more certainty about outcomes for your delegates. course attendees opt for courses based on 2009 edition of PRINCE2 with 5 years validity. Once this becomes difficult, refuse to take the PRINCE2 2017 Practitioner and possibly PRINCE2 2017 Foundation exams. Trainers would then have time for some useful learning exercises and you will have a certificate of attendance. An alternative would be not to undertake PRINCE2 at all. Do PM4A instead which has been written by the original author of PRINCE2, Colin Bentley and his colleague Andy Britton, both of whom have extensive project management experience and training expertise. PM4A includes all the best project management practices of PRINCE2, after all it really is just common sense. As the AXELOS income stream slows down they will be forced to address the issue.